Today EA and Respawn finally pulled the lid off of Star Wars Jedi: Fallen Order, which has been confirmed as a single-player, narrative-driven game that won’t feature a single microtransaction! The game was officially detailed at Star Wars Celebration, and an awesome first trailer was shown off, which you can watch above. 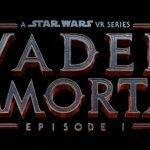 The trailer introduces you to the game’s hero, who is a former padawan named Cal Kestis, who is played by Gotham’s Cameron Monaghan. Fallen Order will pick up after the events of Revenge of the Sith, and Cal will be in hiding working on a planet called Bracca breaking down old Clone Wars era Star Destroyers. Due to a work place accident, he will reveal his force affinity, which in turn will get the Empire and the Inquisitors on his tail. In particular, he will be hunted down by the Second Sister and Purge Troopers, who you both can see up above in the trailer. You’ll also see some action segments, which will give you a general tone of what to expect in regards to this game’s gameplay. I like what he’s saying here, although it does sound a bit Souls-ish, but it also sounds like players who don’t want to put the time in to master the gameplay, will still be able to enjoy their style of progression through the game. Overall, I’m highly intrigued by what was shown and said about Star Wars Jedi: Fallen Order, so stay tuned for more details. It’s due to hit PC, PS4, and Xbox One on November 15, 2019.